Denver improves to 9-1, thanks to 19 fourth-quarter points from Jamal Murray, with win over Boston. 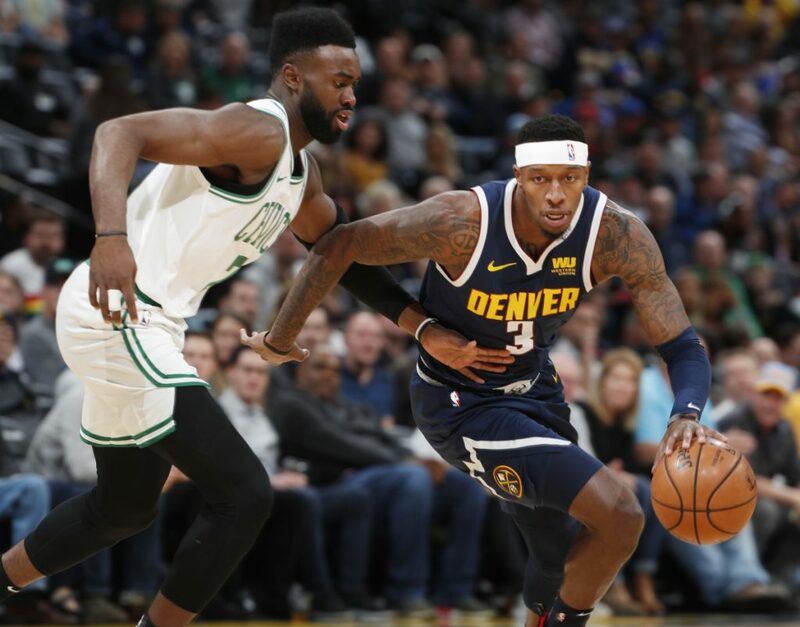 DENVER — Jamal Murray scored a career-high 48 points, including 19 in the fourth quarter, and the Denver Nuggets overcame a sluggish start to beat the Boston Celtics 115-107 on Monday night. Celtics: G Marcus Smart took an elbow to the back of the head from Jokic in the third quarter. … F Marcus Morris drew a technical in the fourth quarter for arguing a charging call. Nuggets: Murray scored 14 of the team’s 19 points in the first quarter. … G Monte Morris had eight points and drew a big late charge. Celtics Coach Brad Stevens raved about Nuggets guard Isaiah Thomas, who’s currently sidelined as he rehabs from hip surgery. Thomas played parts of three seasons with Boston. Thomas isn’t expected back until possibly next month, but he’s already having an influence on the Nuggets – with his voice. “It’s by committee,” Malone said.